Today, the International Criminal Court (ICC) officially announced the publication of approximately 22,000 pages of United Nations War Crimes Commission (UNWCC) documents dated between 1943 and 1949 in the ICC Legal Tools Database. The UN Archive initially listed the documents as confidential materials and only a handful of researchers with special permission were given access to them. Only recently the restrictions on a large part of the documents were lifted, and only those that contain sensitive information are still kept under restriction. This is the first time the documents are released digitally for public access since the removal of the restriction. The UNWCC was established on 20 October 1943 by 17 Allied Nations including all of major powers, except the Soviet Union. Its mandate was “to collect material, support wherever possible by depositions or by other documents, to establish such crimes, especially where they are systematically perpetrated, and to name and identify those responsible for their perpetration”. In other words, the Commission acted as a pillar to the investigation and prosecution of war crimes and crimes against humanity committed by the Axis powers (including the Nazi Germany, Japan, and Italy) during the World War II. The Commission itself did not have any power to prosecute war criminals. It merely reported to the government members of the United Nations, which then proceeded in convening the war tribunals, including the International Military Tribunal (IMT) for Nuremberg and the International Military Tribunal for the Far East (IMTFE) in Tokyo. The materials retrieved from the UN Archive consist of a complete collection of unrestricted records of the UNWCC. They include minutes of meetings and reports of the Commission and its subordinate bodies, as well as records of investigations and prosecutions conducted by national authorities. 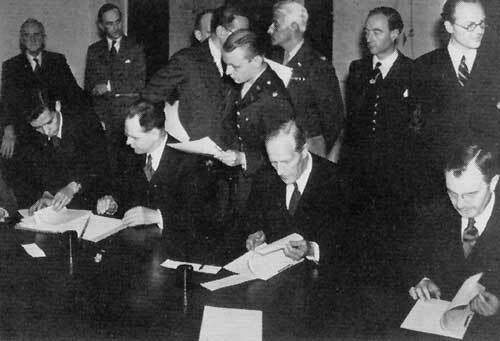 The documents were either prepared by or submitted to the Commission as preparations for the establishment of the IMT Nuremberg and Tokyo. Out of a total of 184 microfilms, each of which consists of approximately 2000 pages of documents, 50 microfilms are still restricted due to the sensitive nature of the information contained. Names of individuals suspected of war crimes are among the top priority for restriction. The individuals listed were not necessarily guilty, but were investigated as suspects. The statuses of these individuals have not been cleared until today. We can assume that until such clearance is obtained, which is not foreseeable in the near future, these documents will not be released for public viewing. Some governments may be reluctant in the release of the documents due to the fact that the records also reveal each government’s perspective and attitude with regard to investigation and prosecution of serious crimes at the time. Similarly, the documents also reveal the role and participation of various actors during the convening of the Tribunals. Some were positive, others were not. Despite all these, it is about time that these records are released for public. The release of the documents will benefit scholars, governments, inter-governmental and non-governmental organisations, as well as lawyers and legal experts concerned with international criminal and humanitarian law. The information retrieved will enhance our knowledge of history of war crimes and crimes against humanity during the World War II, as well as the steps and methods that were undertaken in investigating and prosecuting the crimes at that time. From this point onward, we can expect that there will be more and more research and publications based on these materials. Tags: Crimes against Humanity, History, ICC Legal Tools Project, IMT Nuremberg, IMTFE, International Criminal Court, Kiki A. Japutra, menneskerettigheter, Tokyo Trials, UN Archive, United Nations, United Nations War Crimes Commission, War Crimes, World War II. Bookmark the permalink. So when are they going to arrest the entire Bush Clan for war profiteering? So what about the warcrimes perpetraded by the Allied nations? Firebombings(with phosphorus)from GB and USA on German civilians,USA’s ditto on Japanese civilians and at last the dropping of the atomic bombs. And not to forget the many attrocities by CCCP.